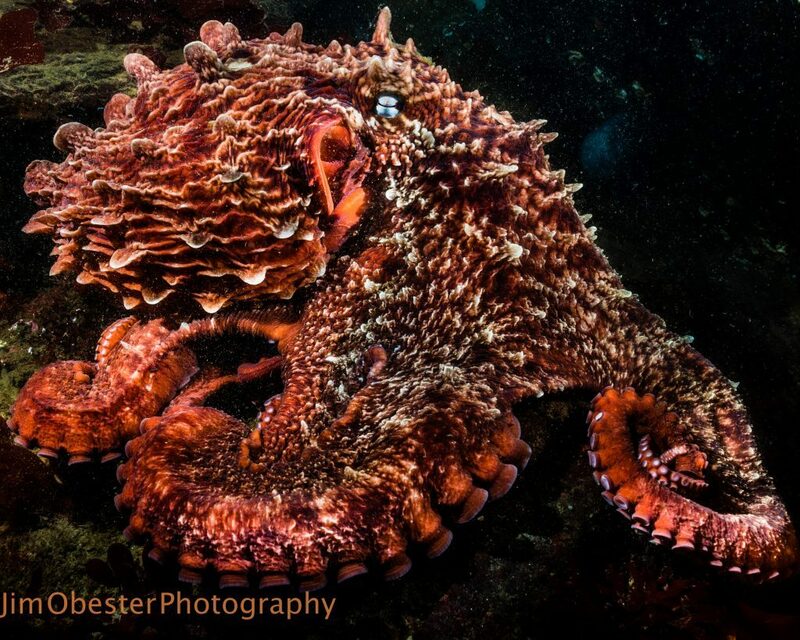 Giant pacific octopus - September 2016 - low oxygen forced the fish and octopuses into shallow waters. 5 Octopuses were out in the open in ~20' of water. First time I had seen this with a camera in hand.